Our satisfaction with CleverPPC stems not only from the results, but from the strategic partnership that has greatly impacted our team. 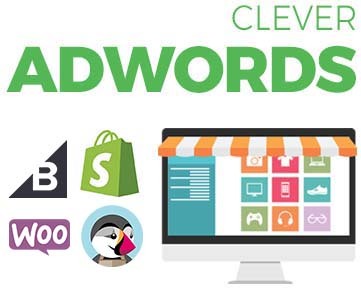 CleverPPC is fundamental to our success. With their technology, we are able to accurately measure everything relevant to our decision-making process. Gigas has been able to significantly expand its client portfolio by using SEM strategies. Thanks to CleverPPC, SEM has become the foundation of our international growth. Our software creates and optimizes AdWords campaigns for online stores using Shopify and Magento platforms. Our innovative software enables us to create customizable and flexible solutions to save you time and improve your performance. Time is money! Clever PPC solutions are focused on optimizing SEM campaigns for display, search and shopping so your inversion´s results are optimal. Our machine learning algorithm allows us to generate all possible keywords and ads so your business obtains as many searches as possible. Visualize your accounts and adequately control every detail. Compare your results by different countries or languages for a global perspective. Advanced conversion metrics analyze and develop campaigns to increase your company´s conversions. We are a certified Premium Google Partner specializing in Adwords search, mobile, YouTube, display and shopping campaigns.